1. How do I buy warrants? Warrants are purchased through your broker the same way you buy common stock. 3. Do warrants trade the same as common shares?Warrants trade the same as common stock except they usually aren't as liquid. They trade on the same exchange as the common with a .wt at the end of the symbol. 4. What happens if I don't sell or excersise the warrants before the expiry date?If you don't exercise the warrants on or before the last day they will expire worthless. If you are not planning on exercising the warrants then you MUST sell the day before the expiry day as the last day is for exercising only. If you are buying warrants to exercise and it is near the expiry date check with your broker as it takes three days for stocks or warrants to settle (meaning you own them) so buying warrants on the second last day before expiry may make it a best effort only when it comes to exercising. 5. Can I excersise the warrant anytime before the expiry date?You can exercise the warrants at any time up to the time stated when the warrants expire. Some warrants expire at noon on the last day so be aware of the time they expire also. There are times that its beneficial to exercise as in BTC.WT who's owners saw a nice gain not long after the warrants expired Some warrants can only be exercised on the dates specified by the company. as stated in the press release for the FTF.WT. 6. Do warrants move in tandem with the common shares?Once the warrants are 'in the money' they should move in tandem with the common. A lot of the time they don't because the warrants are a lot less liquid and there may not be as many sellers. There also could be someone holding the warrants that needs the money and they are selling into the bid even though the common is rising. Even though they should move in tandem there can be many reasons why they don't..
7. Why do companies list warrants?Warrants can be held held privately or listed on the exchange. They come as a result of a finacing or private placement. It also gives the warrants a recognizable value. 10 Why would I buy warrants instead of buying the common itself?Warrants provide leverage. 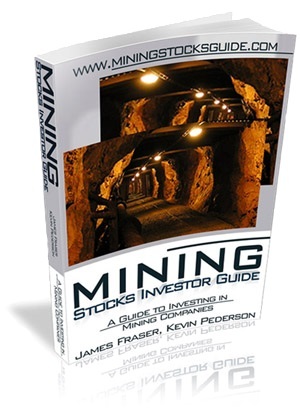 Eg Quadra Mining selling at $14 and with their warrants at $3.50. You can buy 4 warrants for every common share. If Quadra goes up to $15 your profit would be $1 per share but if the warrants follow the common up that same $1 a share and rise to $4.50 you would see a gain of $4 had you bought the warrants instead of the common. 11. How do I exercise the warrants I have?Its very easy to exercise your warrants. All you have to do is call your broker or your brokerage firm and let them know you want to exercise. 12. Do warrants have any voting rights or dividends?Warrants have no right to dividends and no voting rights, so their value is tied entirely to the relationship between their exercise price and the share price of the company. 13. Are warrants suitable for every trader or investor?Because warrants can be very illiquid some are not suitable for people wanting to just trade. Warrants involve risk and they have to be monitored so they don't end up expiring worthless. Some warrants involve a lot of patience but those with the patience to hold will usually be well rewarded. 14. Why do warrants that aren't 'in the money' become worth less as less as it gets closer to the expiry date?Because time left is factored into the fair market value, warrants that don't expire for a few years can be worth a lot more as the farther away from the expiry the more time can be the factor making the warrants more valuable. As it gets closer to the expiry date time plays less and less of a factor in valuing the warrants.